Call it a gift from technology or just evolving lifestyle, working from home is now much more than just one odd day in a while when you cannot get to office because of an emergency. 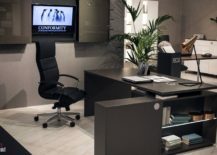 For many of us, our home and workspace are intertwined and while this offers plenty of advantages, there are also a few bumps that you need to take care of. 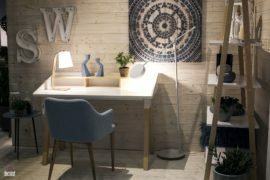 For starters, it is important to draw that line between work and home clearly; even if your work desk is just a few steps away from your couch. Then there is the issue of space and shelving. Open shelves can be both a boon and a bane depending on the way you look at it. 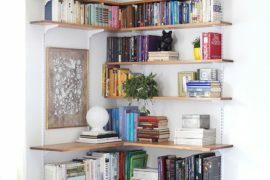 For those who are organized and love a clutter-free environment, open shelves double as an aesthetic addition which can also be used as a striking and fun display. 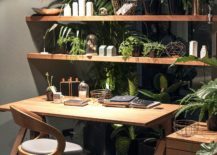 Everything ranging from small indoor plants, to vases and more can be coupled with your office supplies and accessories to create a home workspace that is both gorgeous and systemized. 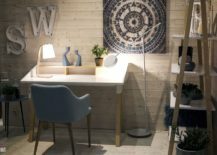 Wooden shelves with a simple metallic frame are currently a hot trend in home design and they work as well in the living room as they do in the home office. 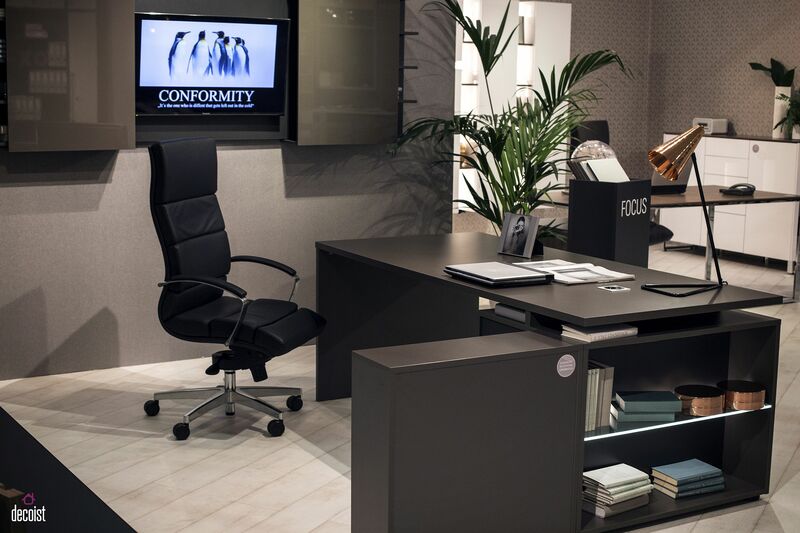 The simplicity of the design, its durability and industrial panache makes them absolutely ideal for the modern industrial home office. 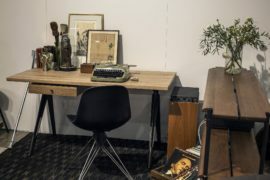 Wood and metal also bring textural contrast to the workspace that is otherwise dominated by polished modern finishes and an overdose of gadgets and wires. 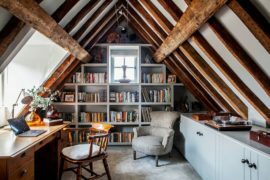 Not a big fan of open shelves? 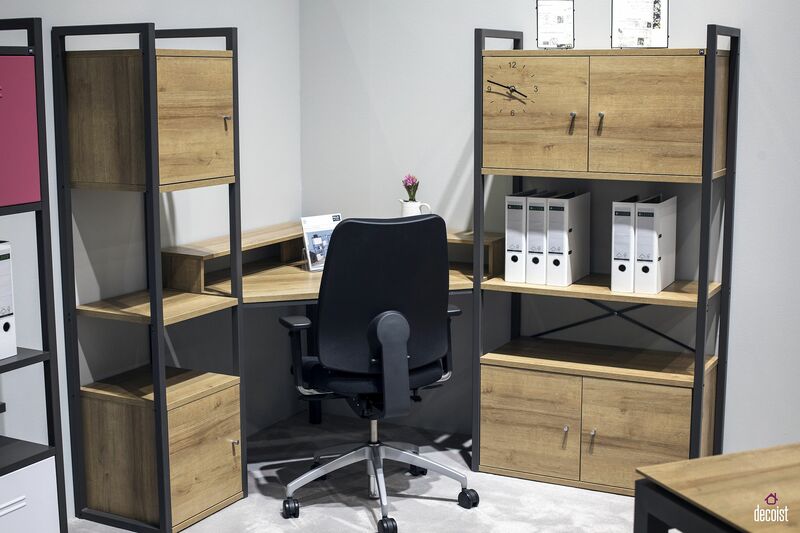 The home office below is small, elegant and manages to offer plenty of storage space using just closed cabinets. 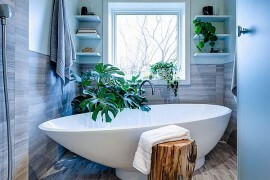 Yes, you might have to let go of the additional visual appeal that elegant, floating shelves bring, but this is definitely the right choice for those who do not want to spend too much time decorating, cleaning and organizing. You can always add a couple of floating shelves down the line as you look to revamp the home office. 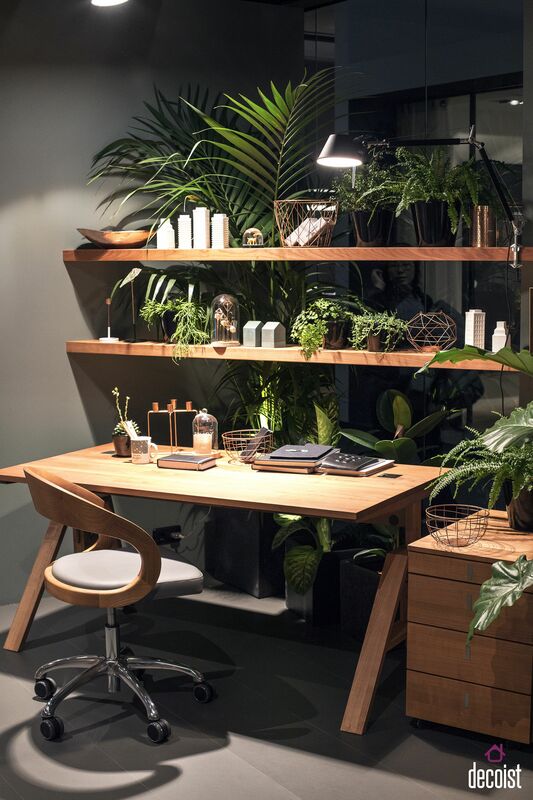 We are not really sure what we love more about the home office from Richard Lampert below – the amazingly sleek and ergonomic desk or the trendy, modular wall-mounted shelves. 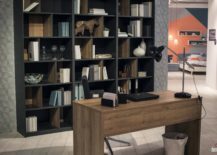 Despite their usual form, the floating shelves also offer geometric contrast and the wooden cabinets break up visual monotony while adding a new texture to the home office. 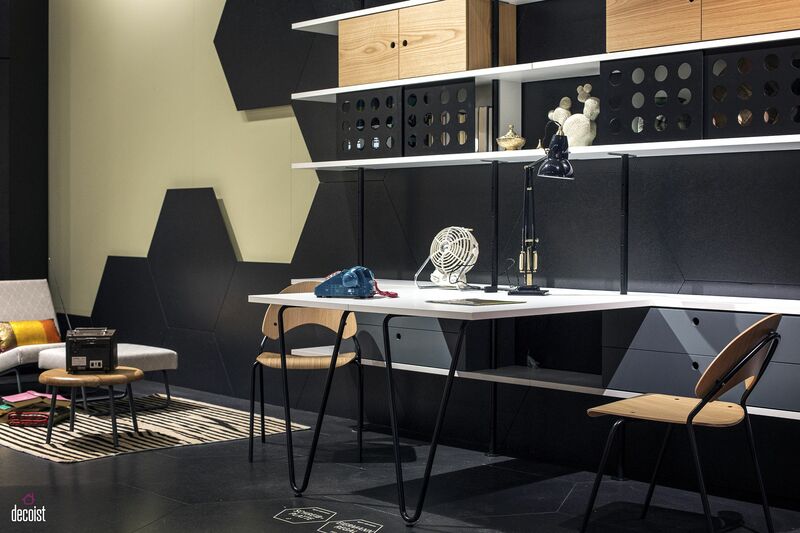 Smart, space-savvy and functional! 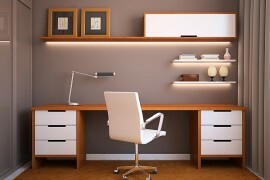 Pulling off a home office that is monochromatic is neither easy and nor is it for everyone. 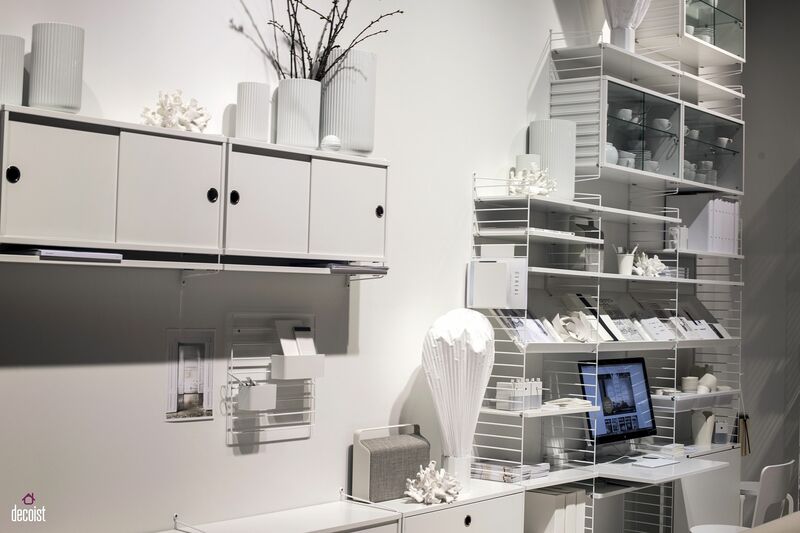 You might not really fall in love with a pristine, all-white home office like the one below, but the wall-mounted shelves here are a definite hit. The shelving system is simple, uses metallic frame along with wooden boards and fits in with contemporary and minimal styles with ease. The giant, open bookshelf might not be exactly cutting-edge, but the classics are a classic for a reason. 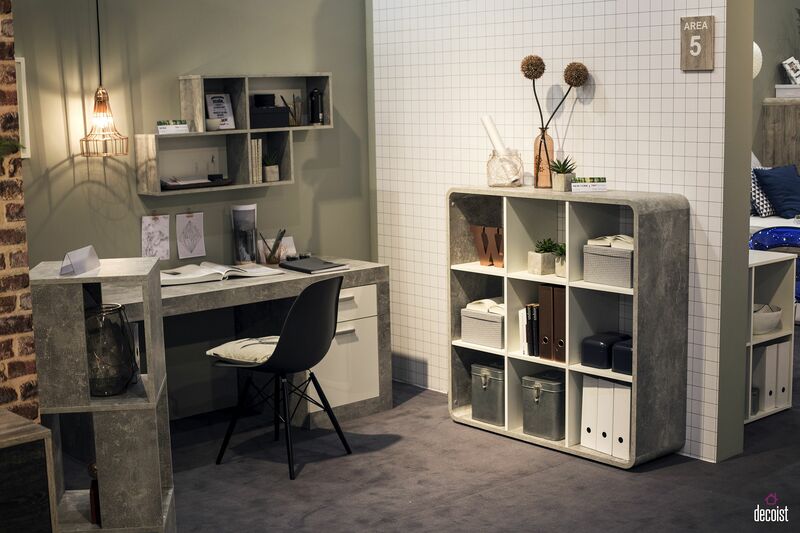 While some come as freestanding models, there are plenty of open office shelves that combine the classic aesthetic with the ease of wall-mounted units to offer the best of both worlds. 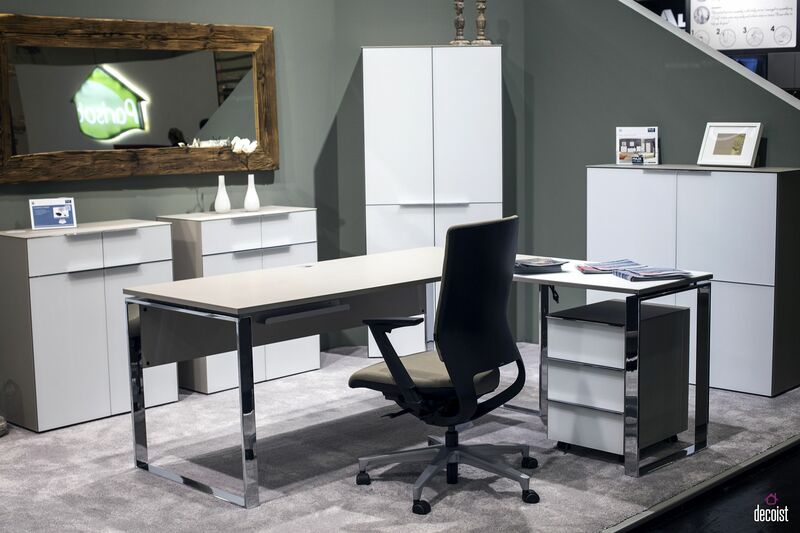 Modular units also allow you to start small and expand as your home office needs grow over time. Creating What Works for You! 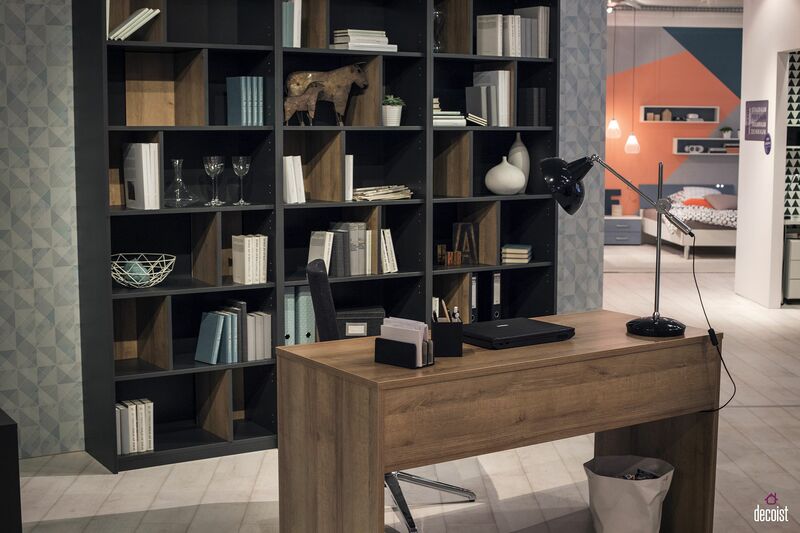 The right shelving for the home office is not about what is trendy alone. It has more to do with what your specific needs are and the nature of your work. 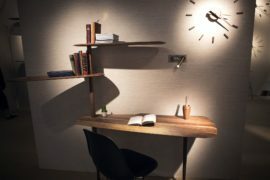 If you are someone who spends most of his time on the laptop, and need just some shelf space for a few additional accessories and gadgets, then a couple of floating shelves along with a small cabinet should be just fine. An avid crafter or artist on the other hand definitely needs a lot more in terms of both storage and shelving. Think of home office shelving as more than just a practical additional. Consider options such as the unique ladder shelf in the corner or even a half-wall with built-in shelves to maximize and delineate space. Throw in a few plants and smart accent lighting to highlight and style these shelves. At the end of the day, it is still about expressing yourself within the existing ergonomic constraints of the home office. Want To Maximize Your Space? 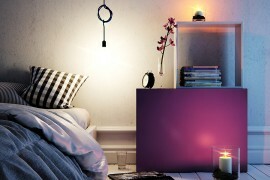 Try Some Corner Shelving!